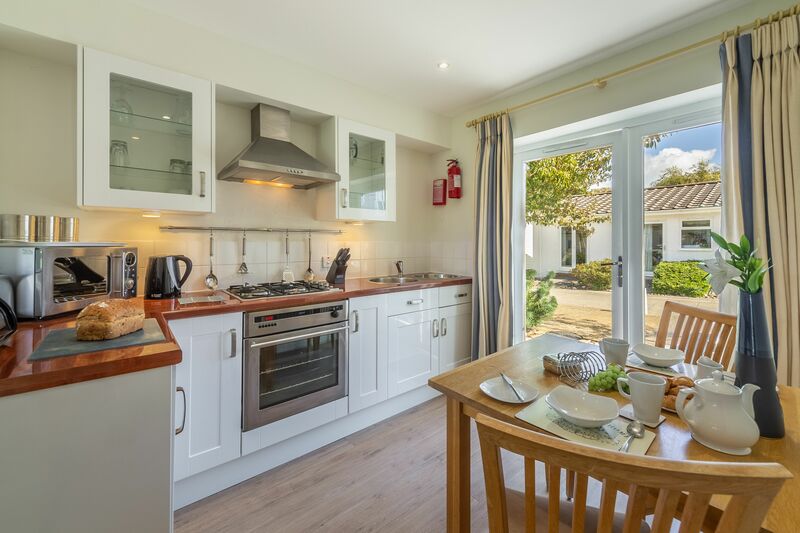 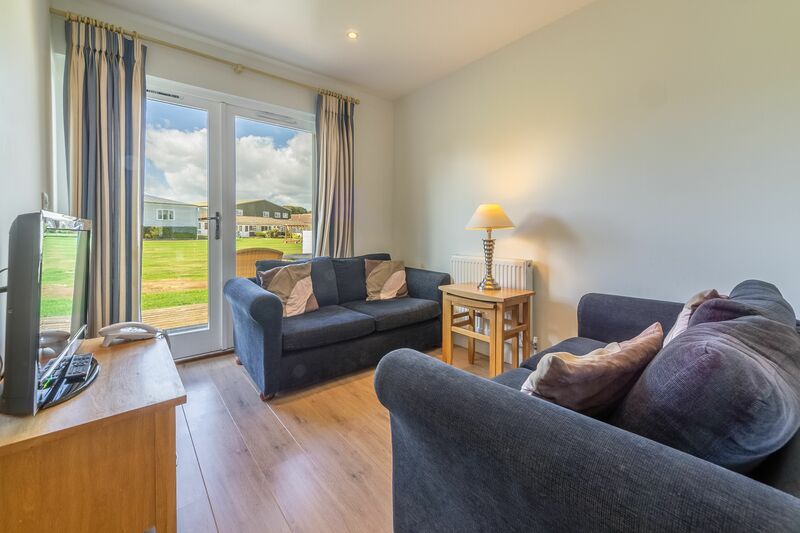 One of the first things you’ll notice about this cosy, one-bedroom cottage is the decking, the perfect spot to while away some time relaxing and looking out across the grounds of West Bay. 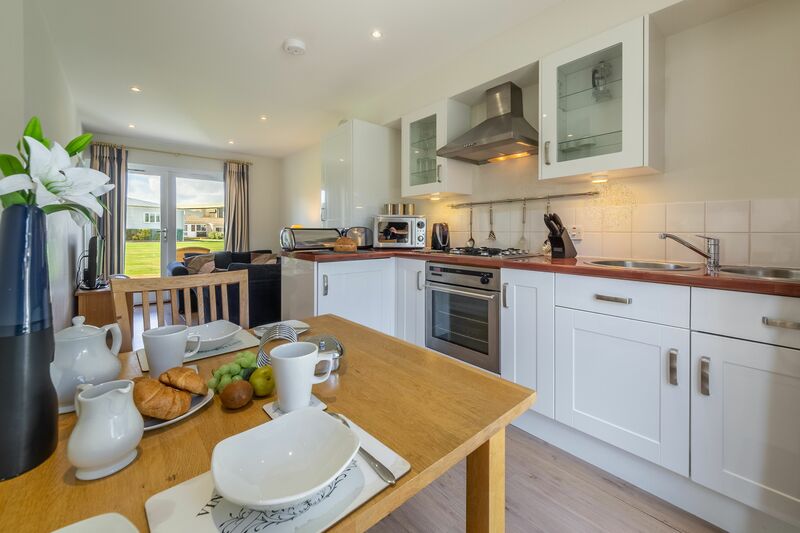 Inside the single-storey property you’ll find an open plan kitchen, living and dining area, the ideal space for you to relax and plan the day ahead. 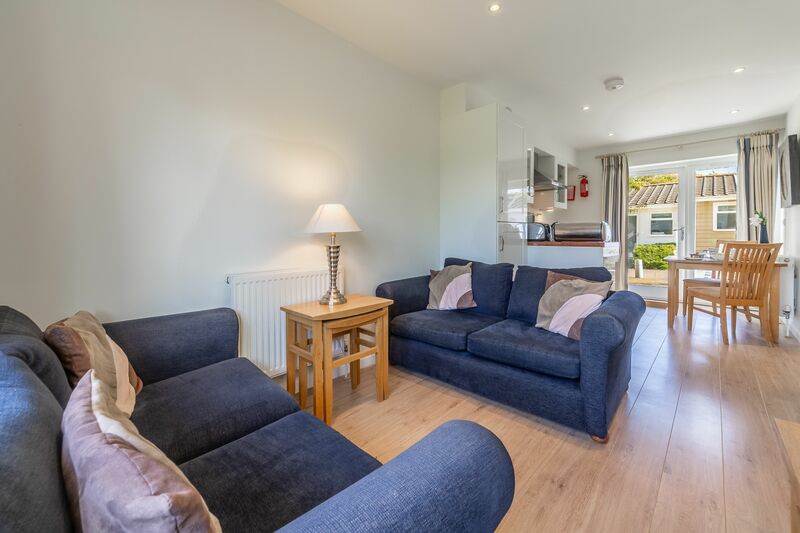 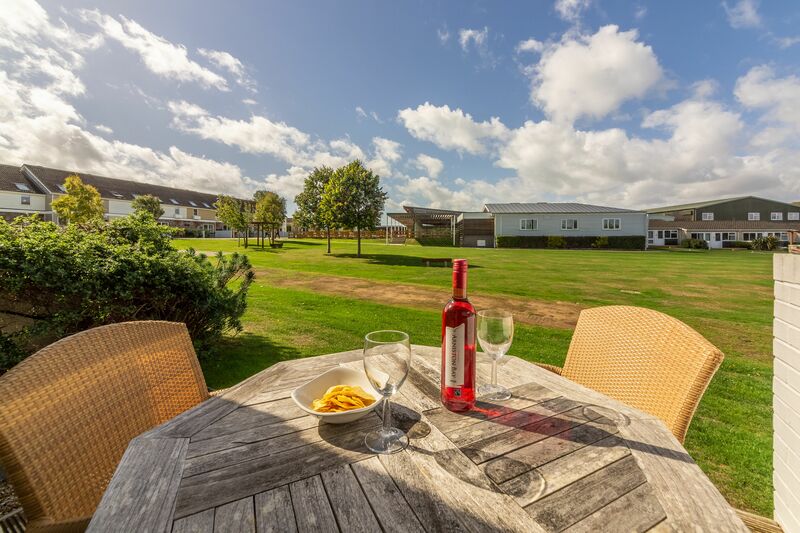 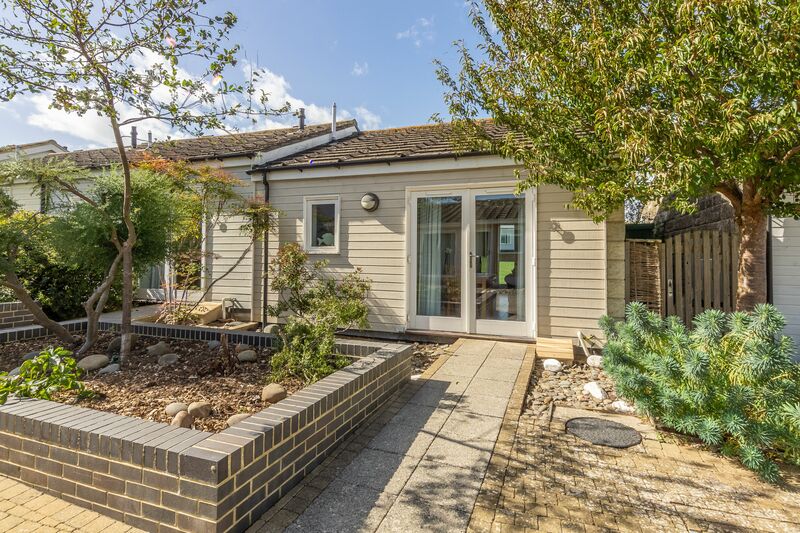 There’s a Freeview TV and DVD, and French doors that open out onto the decking and the communal lawn, so you can walk straight out for a stroll and enjoy the evening. 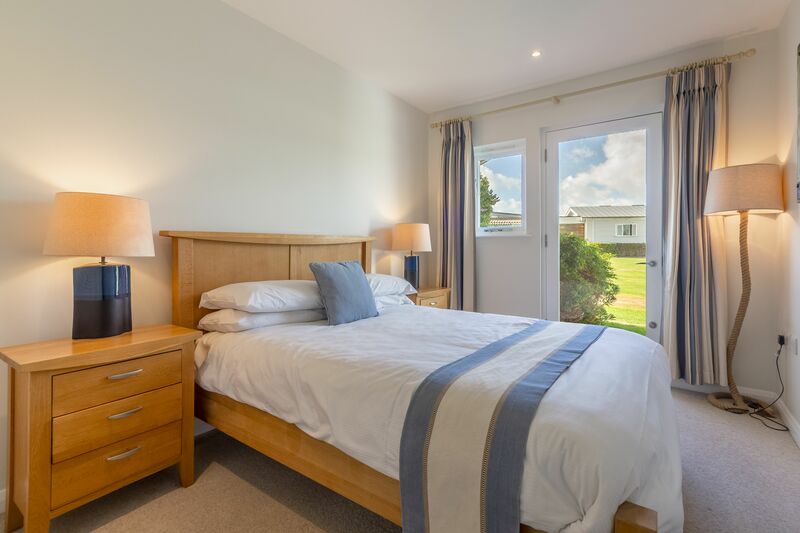 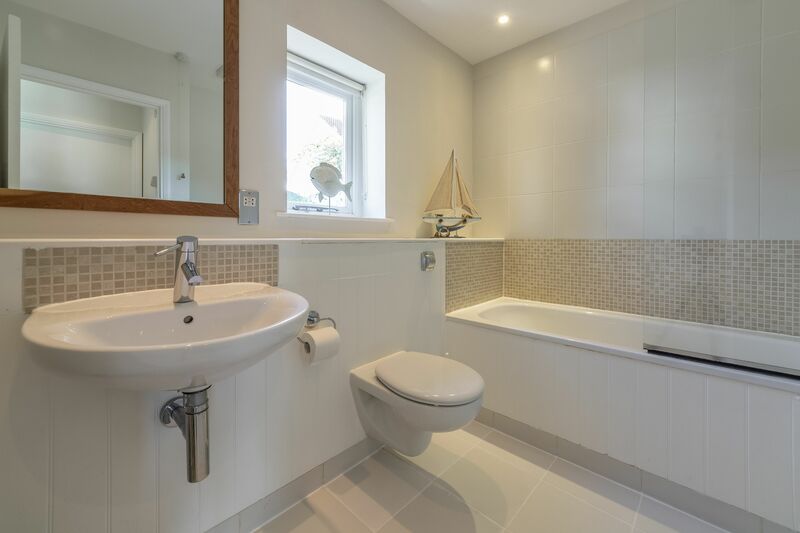 The double bedroom also has a door that opens out onto the decking, and there’s a separate bathroom with a bath and shower over.